Folding Walking Stick Pouch Adjustable Shoulder Strap. If you have a folding walking stick, you’ll know that it’s not always convenient or even practical to carry it around when not in use. 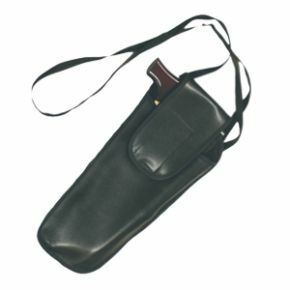 This walking stick holster has been designed specifically to keep your walking aid safe and sound. With a generous length, fully adjustable shoulder strap it is ideal for hanging on a wheelchair, scooter, or even comfortably on your shoulder. Allows you to keep your stick protected, and keep your hands free – while keeping your stick close to hand at all times.